In a move of pure genius, Moët & Chandon is now selling their signature champagne in crystal Art Deco inspired minis from a vending machine. Yes, you read that right, a vending machine. Brilliant, we say! 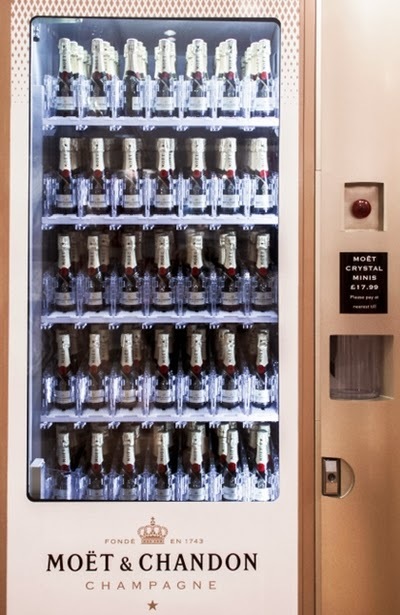 The vending machine is housed in Selfridges Department Store, and will even pour your bubbly for you! This might be the best £17.99 you've ever spent. The bigger question is, how do I acquire one of these machines for Gastronomista HQ?!? !